Trade union organisations and the ministry of Public Works will return next Tuesday as they to continue with negotiations aimed at averting airport strikes across the country starting next Friday, 15 September. The majority unions of Aena and Enaire, UGT, CC.OO. 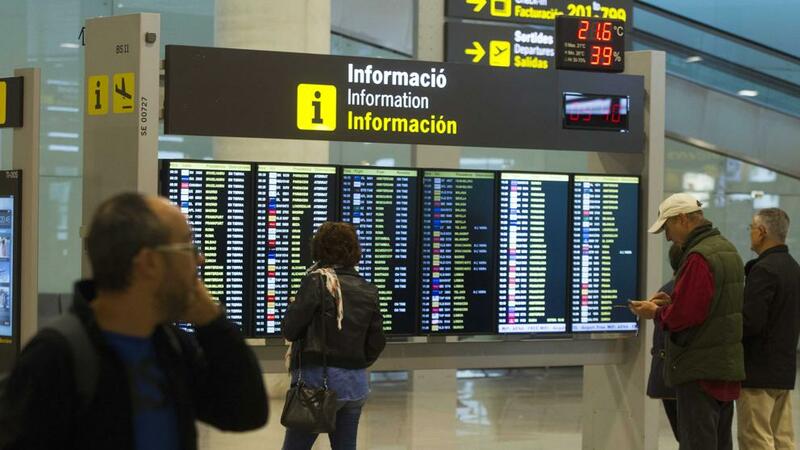 and USO, agreed on Thursday to postpone the call for strike action at Spanish airports on Friday, but they have set a deadline until the end of the month to reach an agreement. So on Tuesday everyone will gather around the negotiating table once again as everybody involved works toward making a deal that will avoid a national strike although at this stage the timetable and location are yet to be determined. The three trade union representatives present at the negotiating table said that that they feel that progress has been made and that they can “see very favourable prospects” as a result of which they are confident that an agreement can be reached, in the future meetings, that will put an end to the conflict with Aena and Enaire, the government body responsible for the management of Air Traffic Control. However Francisco Javier Casado, of Comisiones Obreras (CCOO), has said that the unions will have no alternative other than to call a strike by the end of October in all Spanish airports, if the September talks fail to reach any agreement. Other trade union bosses added that they now feel that the Ministry of Public Works “is moving in the right direction” stating that that “they are beginning to see some progress” as they work to reach an agreement. As a result, the call for 25 days of strike action, starting on Friday September 15 has been postponed for the time being. The unions are asking for pay rises that will enable their employees to recover the purchasing power that their members have lost in recent years, an estimate of around 8%. They have said that they also expect to recover many of the workforce lost through retirement and early retirement: 250 positions in Enaire and 450 in Aena. The union representatives say that the time has come for them to also benefit from the efficient operation of the company, which has reduced airport tariffs and seen a significant increase in the stock market revaluation of Aena.